Tragically, Ethiopia was smothered by iron censorship for over two decades. The censorship was aimed at silencing a government-sponsored corruption, human and democratic right violations, atavism on par with Nazism and ever-widening gap in wealth distribution. The country had almost turned into a graveyard of journalism, which could have immensely helped in exposing improprieties. Its prisons were home to journalists who could not resist exercising freedom of the press. Ethiopia was top on the table pertaining to the number of journalists in jail. Hatching fawners in the guise of journalists, the government was delighting itself with flatteries, which hoodwinked target audiences. Citizens too were not discussing politics without double checking eavesdroppers were not with in the vicinity of earshot. Not allowed a room even in the lopsided political terrain by a government that attempted to use political pluralism as a smokescreen, opposition political parties’ leaders were chased out of the country in a subtle manner. Creating numerous parties in its image, the government was using them as Trojan horses to make citizens dupes. The boundaries among the legislative, judiciary and executive organs were blurred. Hence, like a bull in a China shop, the government had run amok to the extent of having hidden cells akin to butcheries. 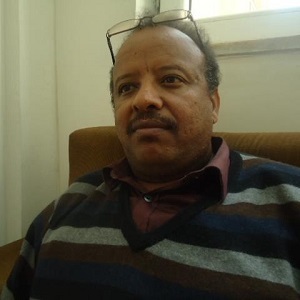 It is cognizant of the aforementioned facts the Ethiopian government, which underwent introspection and reform, set all imprisoned journalists free. 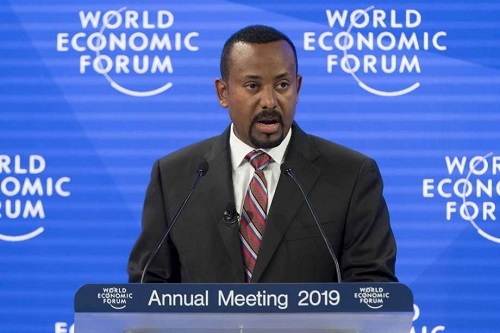 “There is no single journalist in Ethiopia today,” is what Prime Minister Dr Abiy Ahmed told participants with square shoulders while speaking at the 2019 World Economic Forum in Davos. The reformed government had called back chased out political party leaders, some of which, pushed to the end of their patience, picked arms as a final line of resort. It is those who became victims in a show of integrity that assumed key positions like the electoral board thereby guaranteeing the road ahead is a level one. Pertaining to empowering women, the reformed government, awakened to the realization that without the active participation of women that comprise half of the population the developmental thrust could hardly hit envisaged target, managed to ensure 50 percent gender parity in parliament. Many women ministers have popped up on the political scene for the first time in the country’s history. The presidencies of the country and the Supreme Court are assumed by seasoned ladies. It cannot be gainsaid that there is an urgency to break loose from the grip of poverty giving a kiss of life to the economy in torpor. To this effect the government is taking measures towards partially or wholly privatizing inefficient government–owned enterprises. There was no aiming at optimizing benefits and rendering better services. Needless to mention such exertion will catalyze Foreign Direct Investment and the benefit thereof. Infrastructural expansion is backing the push. For long, Ethiopia and Eritrea were locked in a border dispute. As such, they were forced to remain locked in a no-war-no-peace situation. Aside from robbing inhabitants of the border area the much-needed peace, trade-like relations between the two countries had screeched to a halt. Aside from losing the benefit they could get from the transaction of trade, the two countries were squandering much needed money for keeping, feeding and arming their respective armies deployed along their borders. The credit goes to its philosophy of accretion or synergy brought into play by Dr. Abiy Ahmed and his team. The idea of accretion the Prime Minister and his team came up with entails moving in the right direction and mending wrong turns leaning on the three pillars namely ensuring democracy and seeing to its furtherance, giving a kiss of life to the economy in a bid to swiftly pull out citizens from the quagmire of poverty as well as harnessing the tranquility and trade ties that accrues from regional integration. It is the aforementioned bent of Ethiopia the premier hammered home at Davos. It is this work of his that drew him to the global limelight. The achievement is a source of pride to Ethiopia in particular and the continent in general.